As i mentioned in my previous review of SBI Air India Signature Credit Card, i’m ready to play with points & miles and so went ahead and applied for the card. It took quite a time for the approval to happen, however, got my card approved finally. As soon as i received my courier, i rushed to open to see some surprises along with the shining card. 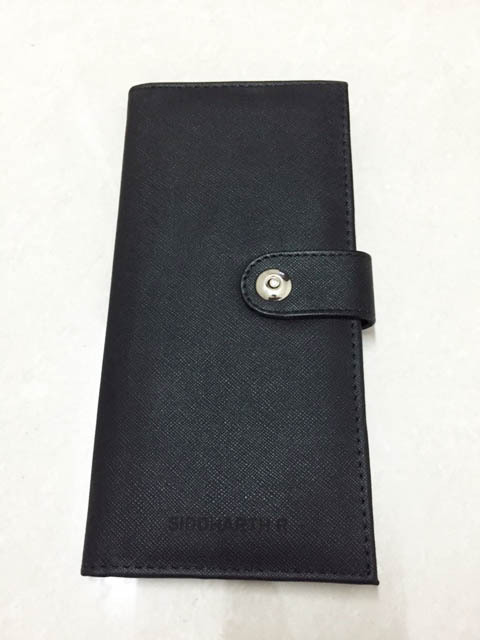 First surprise is that they’ve sent a bigger and better personalized card holder with my name on it, similar to what i received with SBI Signature card earlier, which was smaller. Unlike the one i got earlier, this one is handy to carry not only the cards, but also the boarding passes. As you can see, the card is bit shiny, not usual plastic coating, but something different which makes it bit shiny with matte finish and i loved it. So the Second surprise is that the card holder came with an upgrade voucher in it along with the catalog inside. Its a domestic Air India business class upgrade voucher which i’ll probably use it on a long distance flight within India to maximize its benefit. The card also came with a Flying Returns membership and my Air India FFP number is embossed in front of the card below my name. Note: The Air India Flying returns membership gets activated only after 15 days of receiving the SBI card. This was never mentioned anywhere and the customer care ex. was clueless about it until i asked them to transfer the call to their head. SBI cards are becoming my favorite these days. I love their quick support and systems in place with which they’re able to get things done much faster than HDFC support. I’m gonna start using the card for all purchases in coming days to avail the milestone benefits as fast as possible. Detailed review of this card with all benefits can be seen here. 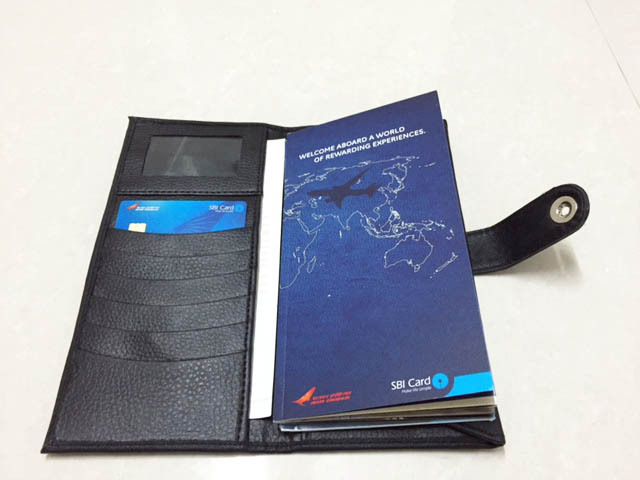 Do you have Air India SBI Signature Credit card? or do you wish to get one? Share your experiences in comments below. Well Sid, thanks for letting us know about this card. But my question is SBI doesn’t allow anyone to have more than one card of theirs and if you want to have two SBI cards linked to same account/customer ID , once can be a SBI card and another can be a co-branded card. So now in you case, my question is, do you have both SBI Signature and AI SBI Signature together or have upgraded SBI Signature to AI SBI Signature? My other card was issued against FD. Yes, SBI allows only one unsecured card per person. Thanks for the great reviews. They are very informative and good to read. I hold an SBI Signature card (issued few months back). I use it moderately as I also hold two other card from HDFC and amex. Do you think it would be better to change my SBI signature card to Air India SBI signature card? Is yes, how to so it? Your suggestion would be appreciated. PS: I travel by air india few times in a year. If you’re a high spender, like 10L or so per annum, get Air India SBI card, else stay with normal signature card. I have another question. Do you think the hefty annual fee for SBI signature card is justified if someone spends just another 2-3L on this card? I mean apart from the 1st year cashback of fees as voucher of the same amount, don’t you think the bonus points would not be sufficient to cover the fees paid in the second year and later? Just ask them to waive off annual fees by showing your spend. They should likely do it. Else no use in paying it. I already have SBi signature credit card since last 2 months. So, can I apply for Air India Sbi signature card as well? I don’t want to give my SBi Signature card back as of now, since I am yet to achieve it’s reward goals. Can i have both the cards ? SBI allows only one unsecured card. If you need another, try taking card against FD. My query is a bit off topic but it’s related to sbi cards, so hopefully you will clear it up. I recently applied for an SBI simply click credit card around 5 days back. Wanted to get this card specifically for a new phone purchase on emi from Amazon. So, wanted to know how many days should it ideally take for me to recieve this card? Thanks for the quick reply. Applied for the card on Tuesday. Received a verification call today in the evening on the home landline number. Hoping to recieve the card by next week. Hi, for this card is there a way to get Airmiles converted to cash back points? No way, its Airmiles card. Hey, Great review. Just wanted to check with you whats the eligibility criteria for this card and can this card be applied basis FD ? I’m thinking of getting either SBI AI or Citibank premier miles or the Amex travel. I don’t think they issue Air India Card based on FD. Eligibility criteria not strict, but if you have other bank card with 1L+ limit, easy to get. Amex Plat travel is best if you travel in Indigo. Great review. I would but I would like to shed some points regarding SBI Air India Signature Card. I agree that once this card was one of the best in the market with a great spend based bonus scheme. but recently they have reduced the benefit on the card drastically. Apart from this, earlier customers used to get upgraded to Air India’s Silver and Gold Tier Club memberships on reaching the spend of 5 Lacs and 10 Lacs respectively. This feature has also been withdrawn recently w.e.f Aug 2016. Actually speaking I don’t see any value in this card anymore, but they have launched another new card recently i.e. 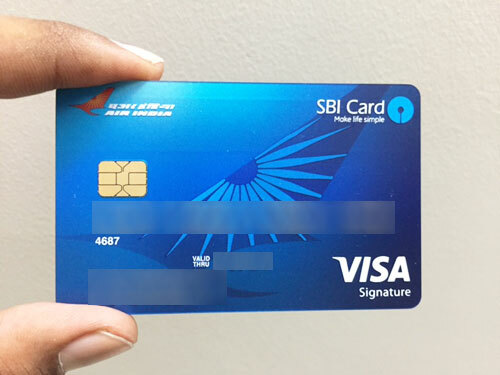 SBI Elite Signature Card and this looks much better an option than Air India Signature card right now, since they have better spend based bonus profile and also have fees waiver feature on spends of 10 Lacs or more. These are just my views and I hope it helps people in choosing a better card. True that, there has been a great value in the past on this card. only major difference with Elite card is that its powered with MasterCard. Happens when you upgrade from lower end to higher end card. Does this card too have the book my show offers ? Its has Weekend Blockbuster Bookmyshow offer as its a Visa Signature Variant.